 Membership to The Sir Walter Cabinet (SWC) is open to spouses of each of the following state officials: Members of the General Assembly, the Governor, Lieutenant Governor, Justices of the Supreme Court, Judges of the Court of Appeals, Council of State, Cabinet Secretaries, Director of the Administrative Office of the Courts, the President of the University of North Carolina, and the President of the North Carolina Community College System. A woman who holds any of these offices is eligible for membership. All meetings are open to guests except the University Woman's Club luncheon in Chapel Hill and the Governor's Mansion luncheon in Raleigh. Members pre-pay their luncheons and those of their guests. Click here to view and print the reservation form. Advanced payment may be made for luncheons you wish to attend. Please be sure to designate the specific meeting date(s) and names(s) of your guest(s) for name tag(s). The goal of the Sir Walter Cabinet is to contribute to the good of the State of North Carolina and its citizens, to stay informed on current issues and to continue friendships established through the years. At the end of each two year presidential term (biennium), The Sir Walter Cabinet presents a gift(s) to state related organizations such as the North Carolina Museum of History, the North Carolina Museum of Art, the North Carolina Museum of Natural Sciences. Tryon Palace and the North Carolina Symphony.